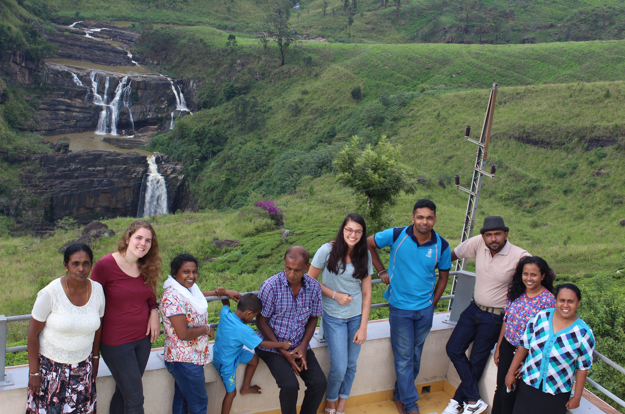 For the Sri Lankan New Years, we were invited by one of our colleagues to join her family in the celebrations. We were able to see the cultural rituals behind celebrating the new years such as boiling over coconut milk to mark success precisely at 10:43 am, eat at 11:53 am, planting a tree and throwing a cotton ball filled with spices in the well to mark the beginning of work for the men and women in the household. After the New Years we were able to travel throughout the country and see some of its beautiful sights, such as Horton plains, watch whales, and go on a safari.